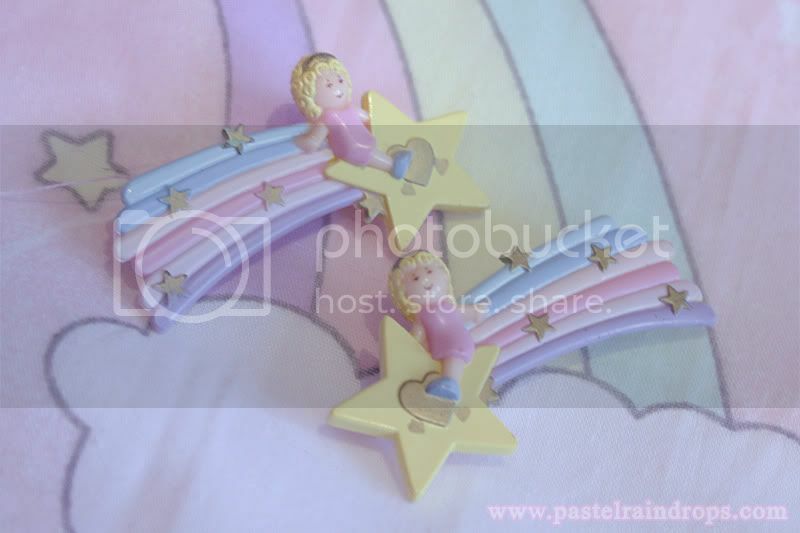 Polly Pocket and Little Twin Stars! They're almost too pretty to wear but eventually I'll take them outside someday. Those hairclips are too cute!! *___* Such a lucky find! So cute, and a good find at the fleamarket! I wish it was easier to find old Twin Stars things for a good price. More vintage toys on fleamarkets, I demand! I bet you would! ♥ But sadly it's only my Polly Pocket and Barbie things up there. All the rest was sold too long ago and I still hate myself for doing that. Thanks a lot my dear! 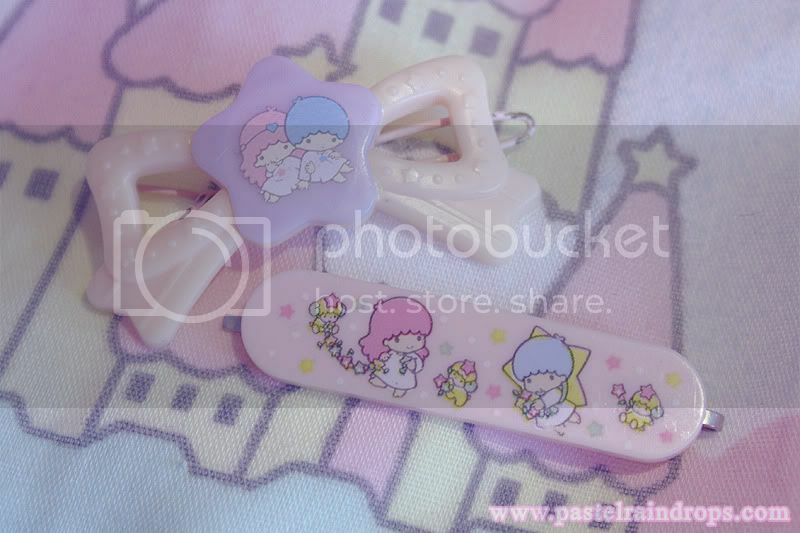 ♥ I wish I could find something like that every time I go, haha~!